A landmark. The biggest picture Jerry Goldsmith had scored up to that time, The Sand Pebbles is, unquestionably, one of the composer’s greatest achievements. Though a 34-minute LP was released concurrent with the film itself, the score’s only appearance on CD has come via Goldsmith’s 1997 Varèse Sarabande recording of it made with the Royal Scottish National Orchestra. At long last, music from the original motion picture soundtrack has now found its way to CD. There are even a couple bonus tracks! Scratch that. The Sand Pebbles: The Deluxe Edition features the original film Overture, the alternate album Overture, the Entr’acte, the Exit Music, cues from the film which have never been released in any form, cues which were only ever heard in the longer, roadshow engagement of the picture, and even cues which were written for but never included in any print of the film. 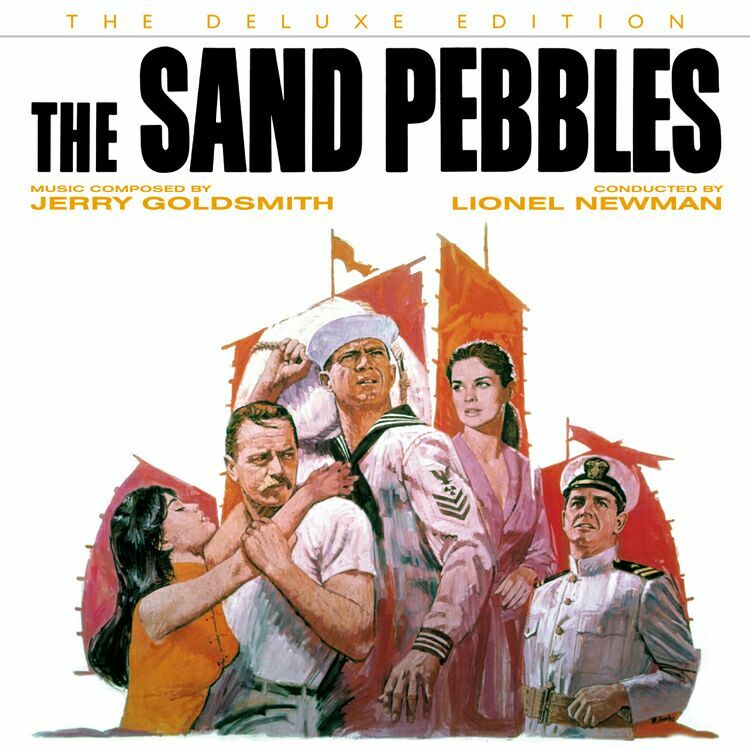 It’s a Sand Pebbles smorgasbord featuring over 76-minutes of the Lionel Newman-conducted original soundtrack recording of one of Jerry Goldsmith’s greatest masterpieces. The twenty-page color CD booklet contains extensive liner notes and rare photos from the film. And there are even a couple bonus tracks!